The possibility of a no-deal Brexit is "uncomfortably high" and "highly undesirable", Bank of England governor Mark Carney has told the BBC. Mr Carney said the prospect of the UK leaving the EU without a deal was "a relatively unlikely possibility, but it is a possibility". He said it was "absolutely in the interest" of the EU and UK to have a transition period. Critics poured scorn on the comments, calling them part of "Project Fear". Mr Carney's warning came ahead of Theresa May's meeting with French President Emmanuel Macron at his summer retreat on a small island off the French Mediterranean coast. The prime minister is cutting short a holiday in Italy as she continues to seek support among European leaders for her Brexit plans. The Bank governor told the BBC that the financial system was robust and could withstand any post-Brexit shocks. What would no-deal Brexit mean for food and medicine? "We have made sure that banks have the capital, the liquidity that they need and we have the contingency plans in place," he told the BBC's Today programme. The pound declined on the currency markets in the wake of Mr Carney's comments, falling below the $1.30 mark, but had recovered by early afternoon. "Our job in the Bank of England is to make sure that those things don't happen. It's relatively unlikely but it is a possibility. We don't want to have people worrying that they can't get their money out," he said. Mr Carney added: "We've put the banks through the wringer to make sure that they have the capital. Whatever the shock could happen from, it could come from a no-deal Brexit, we've gone through all the risks of a no-deal Brexit." However, he said that even with liquidity and capital, the banks could not solve all Brexit-related financial problems. "There are a few things the EU government has to solve, " he said. "The UK has taken all the steps, all the secondary legislation it needs to. The European authorities still have some steps they need to take. We're having conversations and we expect those to be addressed." The governor of the Bank of England doesn't say anything by mistake. Like all central bank chiefs, he knows that his every utterance is subjected to minute scrutiny. So this warning appears to be a deliberate intervention at a crucial moment in Brexit negotiations from a governor who considers it part of his job to highlight risks to the financial system and the wider economy. Others consider him too political by half - his previous statements were labelled "beneath the dignity of the bank" by leading Eurosceptic MP Jacob Rees-Mogg. 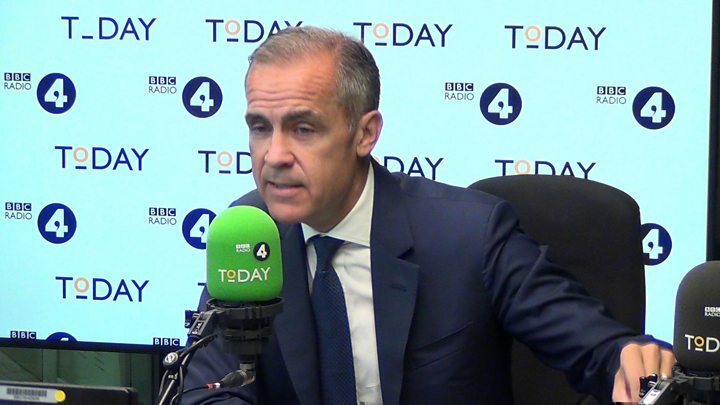 Mark Carney has been clear that the banking system is resilient enough to handle a no-deal Brexit, but today he made it just as clear that it's a test we should be very keen to avoid. As he has pointed out in the past, the UK is the financial hub for the whole of the EU so leaving without a negotiated settlement would have serious consequences for both sides. As government ministers tour the scorching capitals of Europe, Mark Carney has cranked up the temperature at home. Critics rounded on the governor, with Jacob Rees-Mogg, who leads the Tory pro-Brexit European Research Group, saying: "Mark Carney has long been the high priest of Project Fear, whose reputation for inaccurate and politically motivated forecasting has damaged the reputation of the Bank of England." The former work and pensions secretary, Iain Duncan Smith, said: "There is no such thing as a no-deal, as the [World Trade Organization] is where the EU and the UK are already and as a rule-based organisation, both sides would have to abide by those rules. He said the Treasury and the Bank of England had "struggled to understand how this would work". And economist Ruth Lea, adviser to the Arbuthnot Banking Group, tweeted that Mr Carney was crying wolf and few people would listen. However, Catherine Barnard, professor of EU law at Cambridge University, said Mr Duncan Smith's idea of falling back on WTO rules would not work, because in that case, the UK would not be allowed to let EU goods in tariff-free without extending that to the rest of the world. She told the BBC's The World At One programme: "That would make it very difficult for us to negotiate trade deals in future, because we'd got nothing to negotiate over. We'd already given up the right to impose tariffs." Meanwhile, Gen Sir Nick Carter, the new head of the armed forces, was asked on the Today programme about reports that the army was being put on standby for a no-deal Brexit - which could see troops help deliver food, medicines and fuel. He said: "There hasn't been any request yet as far as I'm aware." Pressed if there had been any discussions about a no-deal Brexit, the chief of the defence staff added: "The Armed Forces are always doing contingency planning but we've not been asked that specific question." 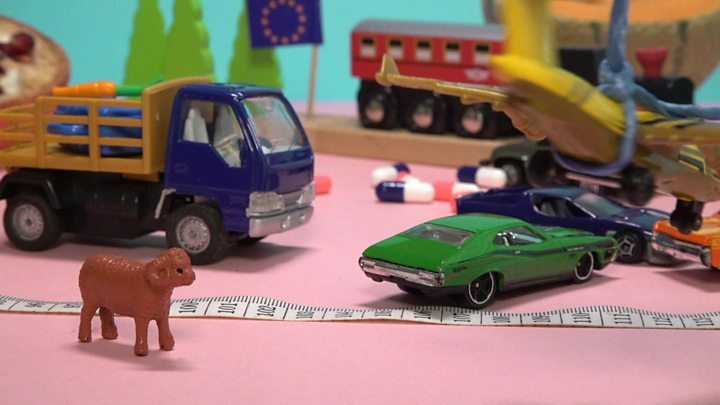 Video Hard Brexit. Soft Brexit. No Deal. What does Brexit mean? Brexit: What would 'no deal' mean for food and medicine?